WhatssApp’s new white-paper goes into the specifics of how the company fights spam, bulk and automated messages. The company claims that approximately 90% of the messages sent on WhatsApp are from one person to another, and that majority of groups have fewer than ten people. WhatsApp releases new white-paper on how it deals with bulk messaging and automated behavious. WhatsApp says it removes 2 million accounts monthly. Roughly 20% accounts of these 2 million are sifted at the time of registration. Quick on the heels of Safer Internet Day, February 5, WhatsApp has released what it calls a white-paper on how it deals with Bulk messaging and Automated behaviour. The white-paper from the Facebook-owned company details a lot of what we already know. For instance, we already know messages on the platform are claimed to be end-to-end encrypted, even though the platform has been questioned on the legitimacy of that claim several times (read here and here). The paper goes onto stress about how WhatsApp is not “a broadcast platform”. “Approximately 90% of the messages sent on WhatsApp are from one person to another, and the majority of groups have fewer than ten people,” WhatsApp claims. The paper also talks about existing features such as Forwarded Labels, two-step verification, and suspicious link detection. Beyond what we and most WhatsApp users already know, the platform shared some of the practices and techniques it employs to keep bulk and automated messaging at bay. WhatsApp says it bans 2 million accounts on a monthly basis on account of automated behaviour and bulk messaging. The company says 75% of these accounts are removed using machine learning and without a user reporting them. WhatsApp says it carries out checks for automated behaviour and bulk messaging in three stages - at registration, during messaging, and in response to negative feedback. “We have advanced machine learning systems that take action to ban accounts, 24 hours a day, 7 days a week,” WhatsApp wrote in its paper. At the registration stage, WhatsApp says that its machine learning algorithms are able to detect if a similar phone number has been recently abused or if the computer network used for registration has been associated with suspicious behavior. “Roughly 20% of account bans happened at registration time,” claims WhatsApp. 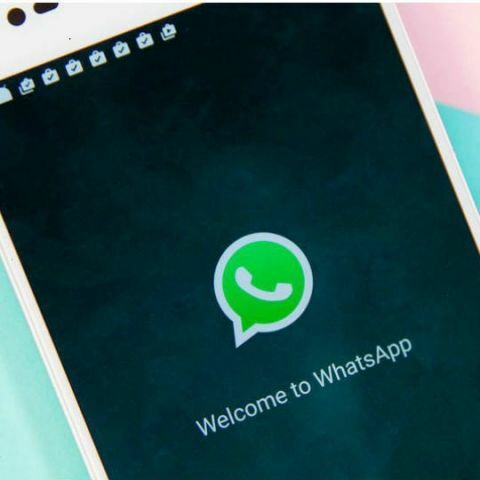 At the messaging stage, WhatsApp says the platform has noticed that “normal users operate relatively slowly on WhatsApp, tapping messages one at a time or occasionally forwarding content. The intensity of user activity can provide a signal that accounts are abusing WhatsApp”. Since WhatsApp is advertised as an end-to-end encrypted service, the company says it does not go probing into the contents of users’ messages. Instead, it uses behavioural indicators and users’ reports to detect suspicious activity. WhatsApp’s systems also target automation. For instance, the ‘typing’ symbol when someone is writing a message can be circumvented by spammers attempting to automate messaging. WhatsApp says spammers may not have the technical expertise to duplicate the ‘typing’ indicator. Which is the best messaging app ,hike or whatsapp? I think both are best.